St. Martin's Paperbacks, 9781250123091, 576pp. 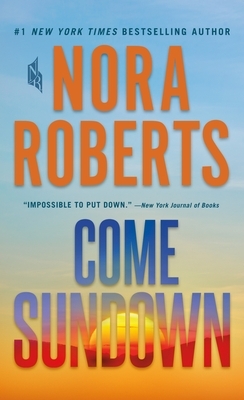 # 1 New York Times bestselling author of The Obsession, Nora Roberts, returns with a stunning tale of how blood ties can save us—or destroy us—in Come Sundown. But not far away, an aunt Bo has never met lives in her own twisted version of a family, one no one knows about, one she never chose. Years ago, Alice was a rebellious eighteen-year-old who ran off looking for adventure. Now she cowers in fear, rarely seeing the sunlight, her mind shattered by a man who views her—and her offspring—as his rightful property. The Longbows don’t talk about Alice anymore. Many quietly presume that she is long dead.